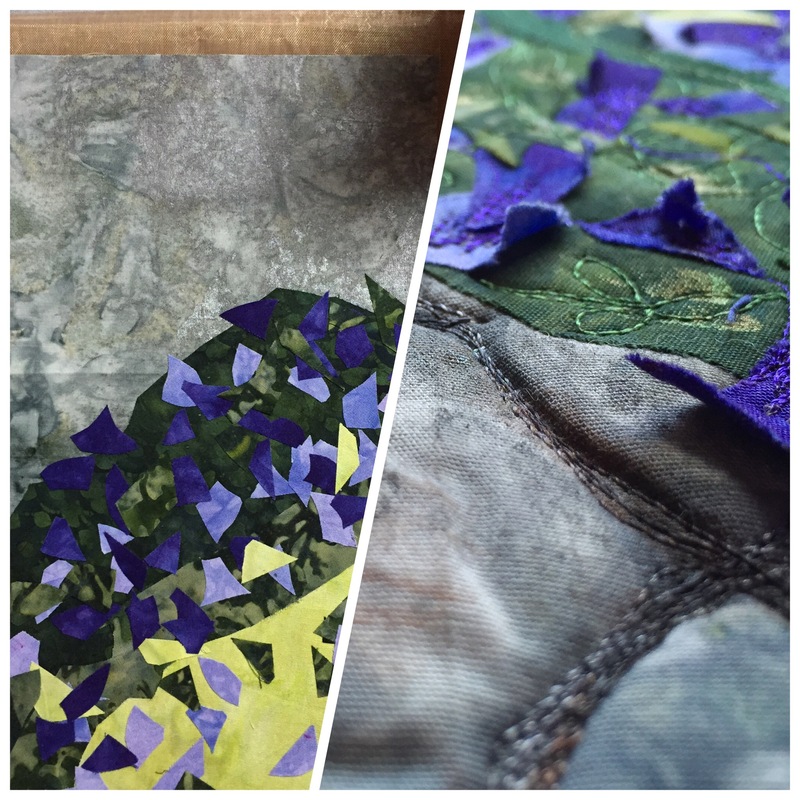 There are few things more fun than looking at “before” and “after” photos of your art quilts. I will readily admit to an addiction to MistyFuse and LOTS of thread. 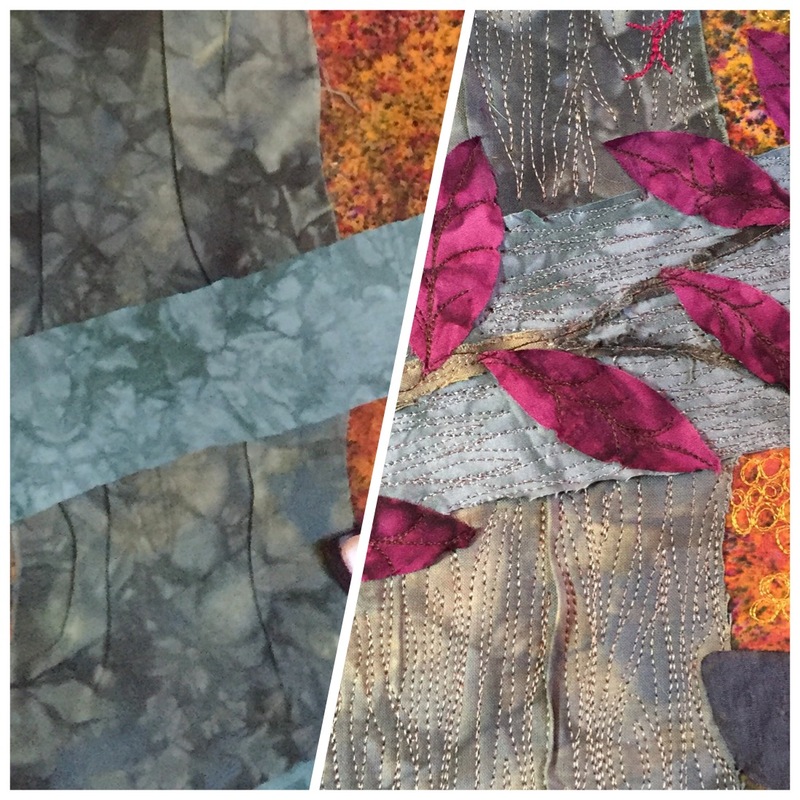 I tend to compose pieces quickly, letting amazing hand-dyed fabric backgrounds do a lot of the heavy lifting, and as soon as pieces are fused the quilt goes onto the longarm. (Quilt police, come and get me ;)). The importance of threadwork is self-evident for my animals, but it plays a very important part in other components of my pieces. Another weapon in the texture arsenal is batting. 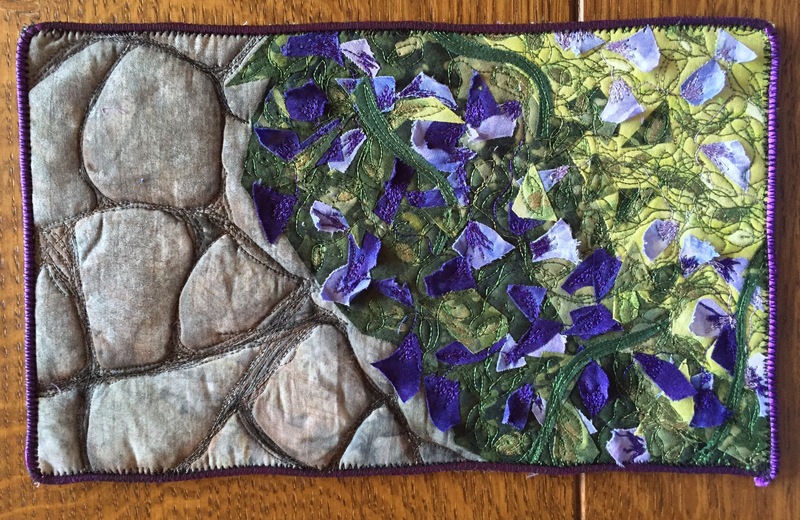 For this very small piece for a trunk show, I wanted to bring the stones and flower petals into relief…so I used wool batting. By carving “cracks” into the “rock” face, pockets of the very high loft batting were trapped and popped up. 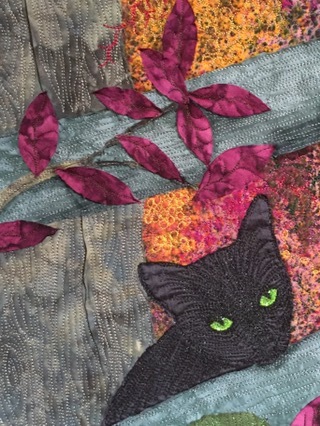 As in my forest scene, I stitched only part of the petals and lifted the tips up with a seam ripper after stitching. This small quilt was the rare exception to my practice of fusing all layers together (it makes life much easier when you take your piece to your Bernina)…I didn’t want to take a chance of flattening the wool batting. Brushing metallic grey ink unevenly onto the background fabric, using the actual stones as the underlying surface, gave the fabric another (in this case, very subtle) layer of texture. 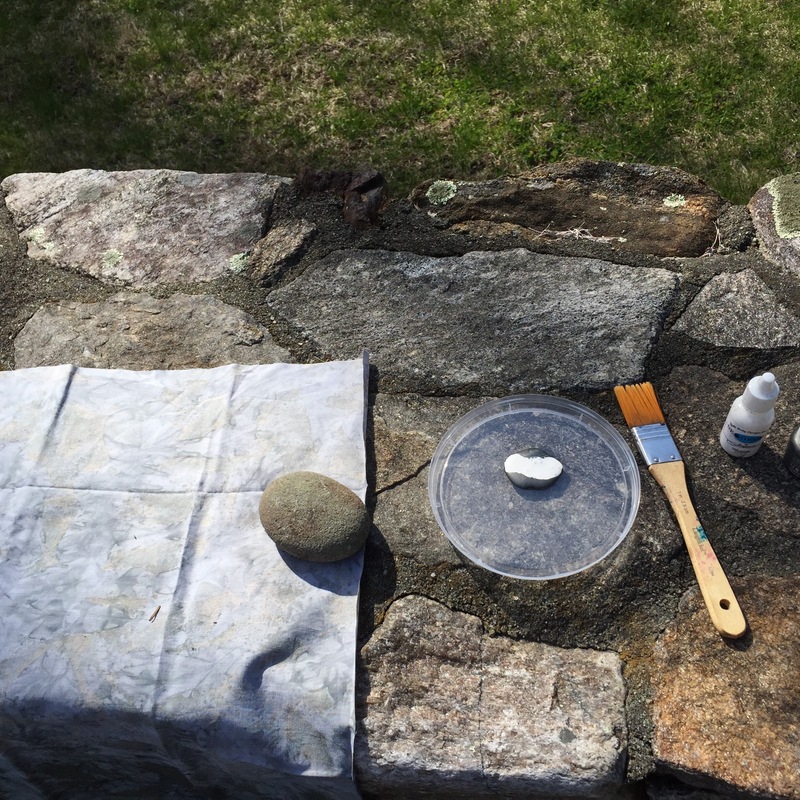 How do you add dimension and texture to your pieces? This entry was posted in Uncategorized on May 5, 2016 by neonkittyquilts.